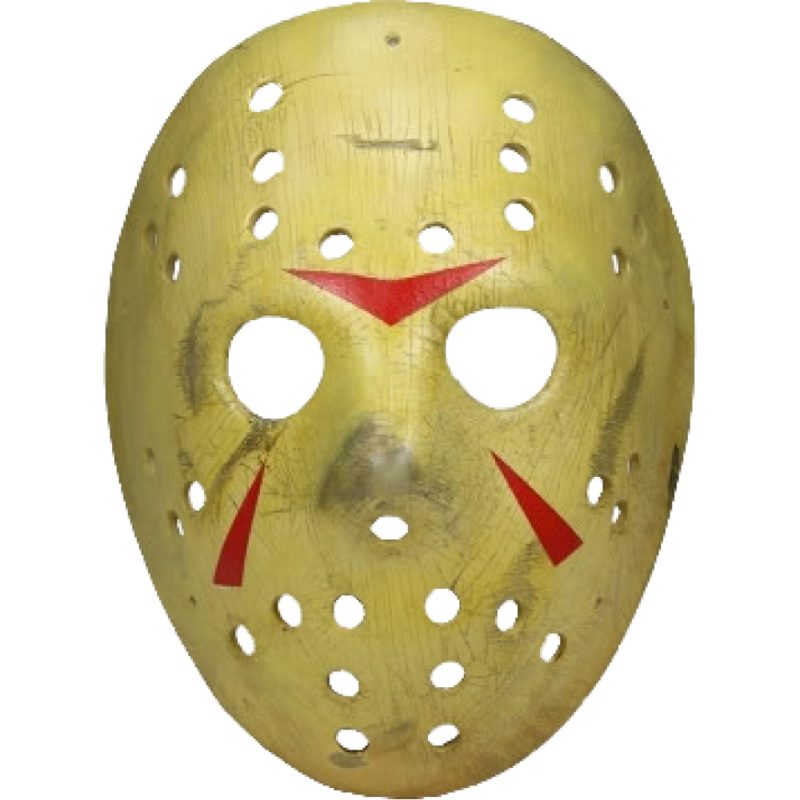 For the first time ever an affordable replica is available of the hockey mask worn by Jason in Friday the 13th Part 3. Made from resin and hand painted, includes leather like straps so you can wear the mask or hang on the wall for display. 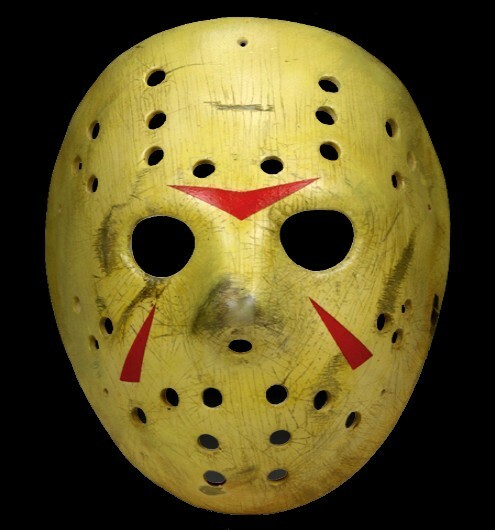 Now you can own an actual piece of Jason Voorhees Friday the 13th movie history with this great movie replica mask. Cast just like the hockey mask worn in the film! 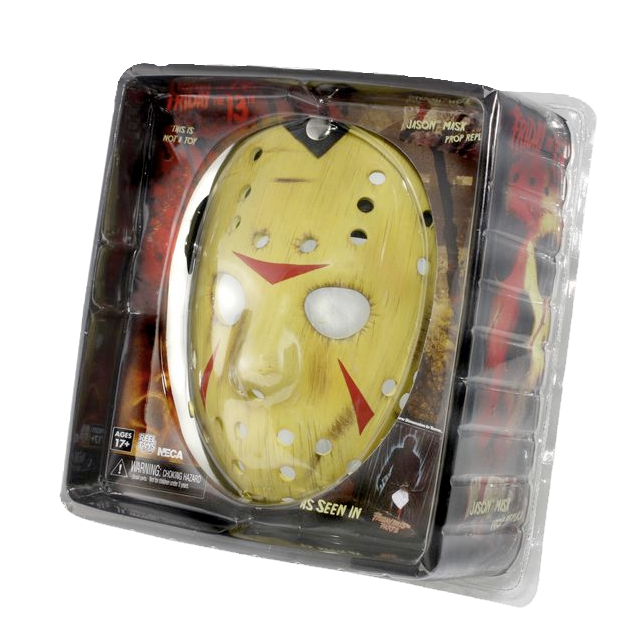 This collectors mask features harness straps that allow you to wear it or hang on the wall, hand painted and very detailed.